To find where to stay, traveler tips, reviews, and other tourist information, read Boise trip itinerary builder . Carbondale to Boise is an approximately 6.5-hour flight. You can also drive. While traveling from Carbondale, expect much warmer days and somewhat warmer nights in Boise, ranging from highs of 57°F to lows of 36°F. You will leave for Vancouver on the 10th (Sun). Vancouver is a city on the north bank of the Columbia River in the U.S. Your day-by-day itinerary now includes Esther Short Park. 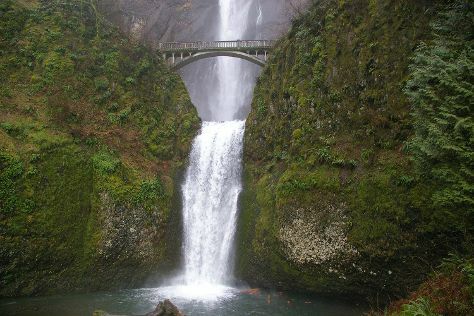 On the 10th (Sun), admire the sheer force of Multnomah Falls. Here are some ideas for day two: browse the fresh offerings at Esther Short Park and then go for a walk through Wintler Community Park. For where to stay, other places to visit, photos, and other tourist information, read our Vancouver trip planner. Drive from Boise to Vancouver in 7.5 hours. Alternatively, you can take a bus; or do a combination of bus and train. The time zone difference moving from Mountain Standard Time (MST) to Pacific Standard Time (PST) is minus 1 hour. In March in Vancouver, expect temperatures between 57°F during the day and 39°F at night. You will have some time to spend on the 12th (Tue) before leaving for Portland. 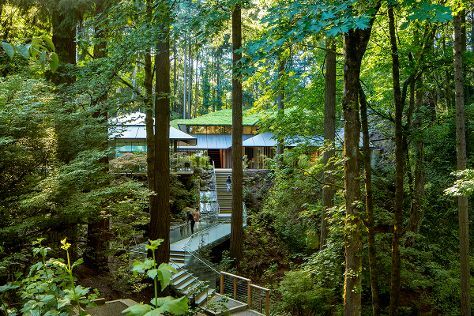 Your day-by-day itinerary now includes Portland Japanese Garden. Kick off your visit on the 12th (Tue): take in nature's colorful creations at Portland Japanese Garden. For ratings, other places to visit, more things to do, and more tourist information, you can read our Portland travel planner. Portland is just a stone's throw from Vancouver. In March, daily temperatures in Portland can reach 57°F, while at night they dip to 41°F. Wrap up your sightseeing on the 12th (Tue) to allow time to drive to Vancouver. For where to stay, traveler tips, reviews, and tourist information, read our Vancouver trip itinerary planner. Vancouver is just a stone's throw from Portland. 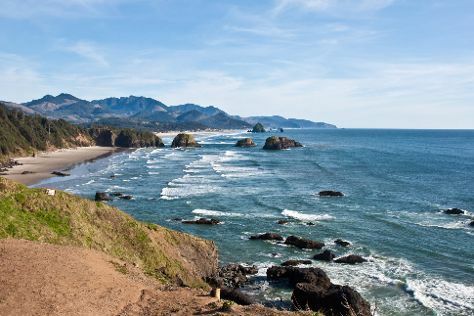 On the 13th (Wed), you'll travel to Cannon Beach. Cannon Beach is a city in Clatsop County, Oregon, United States. Your day-by-day itinerary now includes Cannon Beach Distillery. Start off your visit on the 13th (Wed): kick back and relax at Cannon Beach and then brush up on your knowledge of spirits at Cannon Beach Distillery. To see maps, traveler tips, photos, and tourist information, refer to the Cannon Beach trip itinerary app . Traveling by car from Vancouver to Cannon Beach takes 2.5 hours. Alternatively, you can take a bus. In March in Cannon Beach, expect temperatures between 54°F during the day and 41°F at night. Cap off your sightseeing on the 13th (Wed) early enough to go by car to Vancouver. To find traveler tips, where to stay, maps, and tourist information, use the Vancouver visit planner. You can drive from Cannon Beach to Vancouver in 2.5 hours. Another option is to take a bus. You will leave for home on the 14th (Thu).